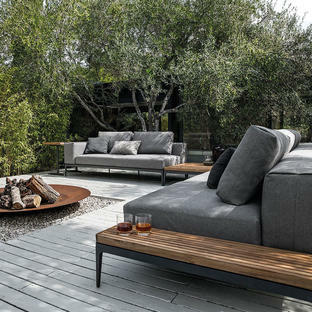 Sumptuous, deep, luxurious outdoor lounge for mega relaxing. 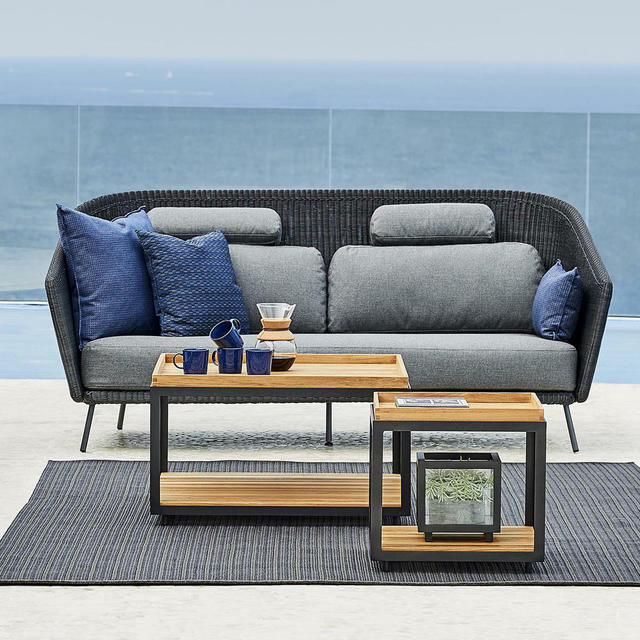 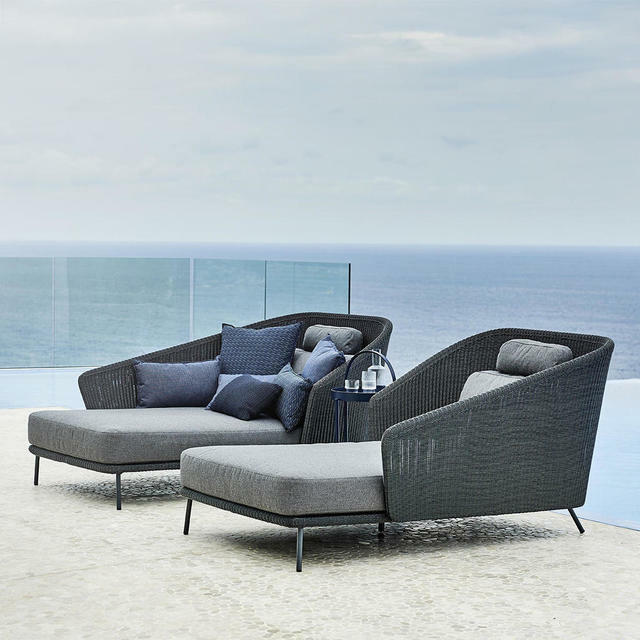 The Mega outdoor lounge seating has been designed in line with all Cane-line furniture to give both high levels of comfort as well as functionality. 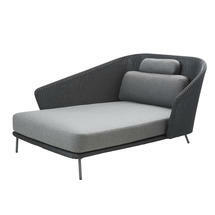 The Mega lounge seating is large deep and super comfortable. The backs curve gently round, giving good support and a deep comfortable and cosy feel. 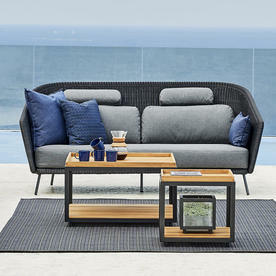 The pieces in the collection comprise a huge '2 seater sofa' which would seat 3 or even 4 comfortably. The Mega lounge chair is large enough to take 2 people to snuggle comfortably. 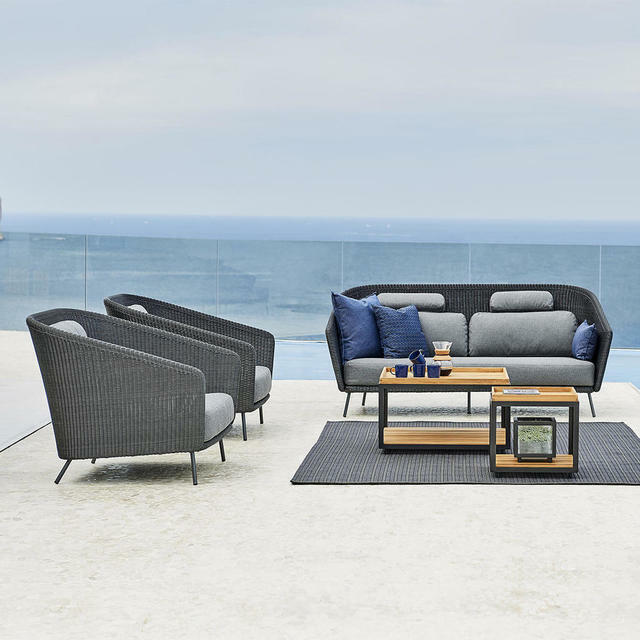 The daybeds comprise of a left and right side, enabling the 2 to be put together if a really large outdoor sofa day bed is required. 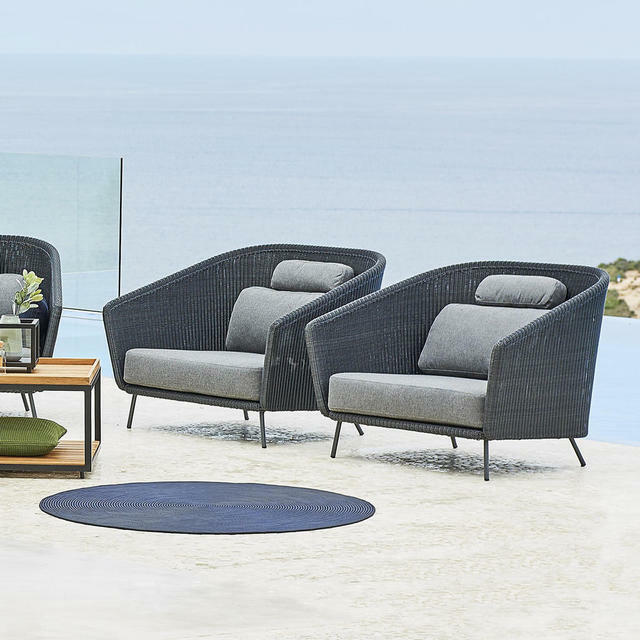 The Mega collection allowing one to relax on summer days in comfort and lots of hygge style, snuggling down on Autumn evenings. The woven back in graphite weave, will give extra protection again summer breezes. 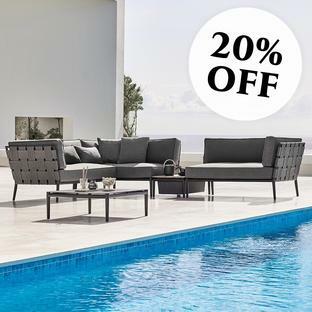 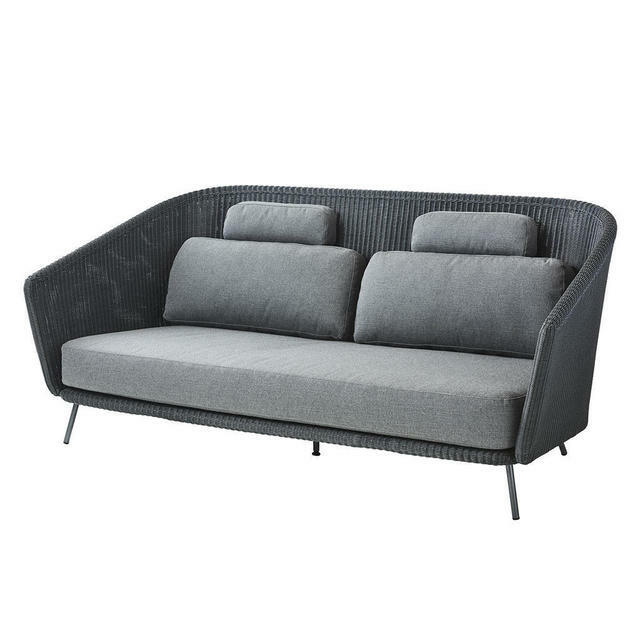 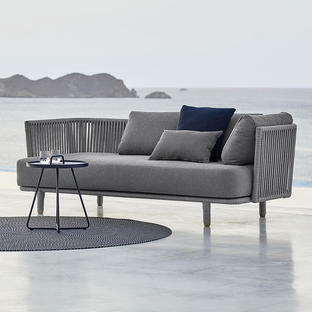 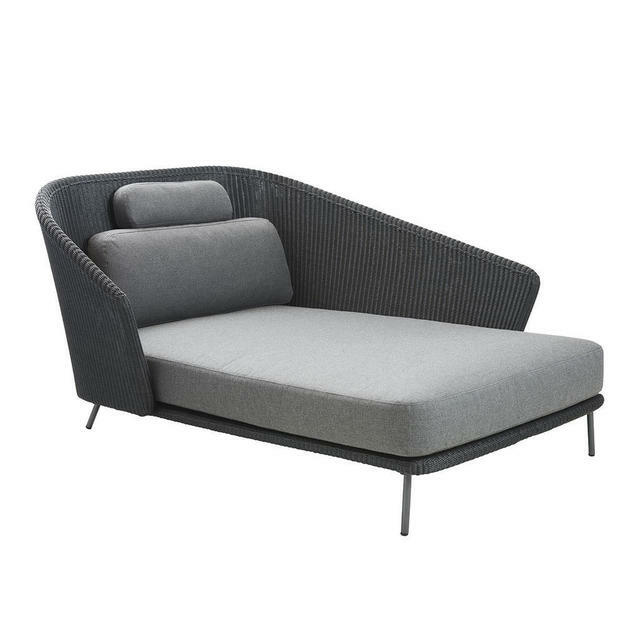 Each Mega collection piece comes complete with seat and back cushions in Sunbrella fabric in grey. 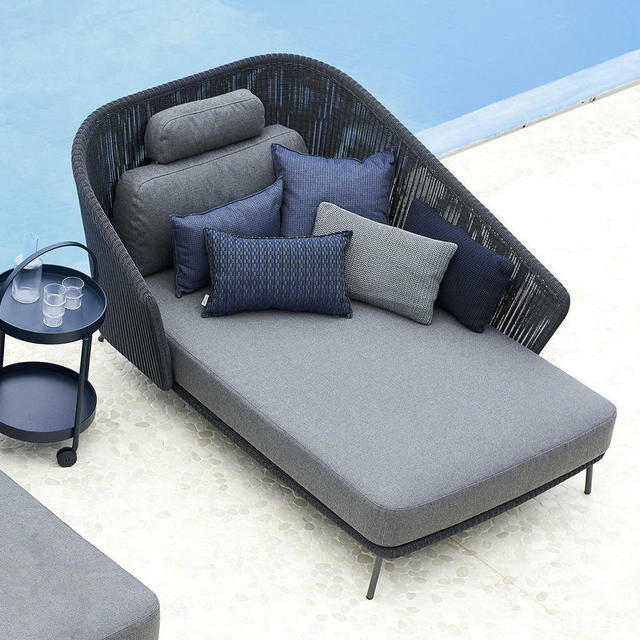 In the Main image the Mega lounge daybed is shown with scatter cushions from the Cane-line collection and the Roll tray side trolley. In the additional images the Mega lounge collection is shown accompanied by the Level side tables. 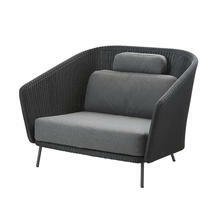 Has a Powder Coated Aluminium frame and is handwoven using a fine all-weather Cane-line Weave. The cushions are included and comprise a deep seat cushion and a back and neck rest cushion. Please Note: Because of the size of this furniture, access to the outdoor space will need to be taken into consideration.